Virtual Agents and Chatbots and Avatars - confusing or what! 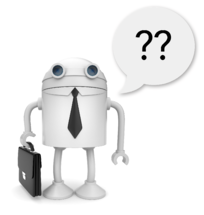 Confused about whether you need a chatbot or a virtual agent or a virtual customer assistant? Don't worry, you're not alone! Virtual agent, chatbot, avatar, virtual customer assistant, bot, virtual assistant, chatterbot - there have been lots of different names given to automated conversational systems over the years which has created confusion within the customer service space.